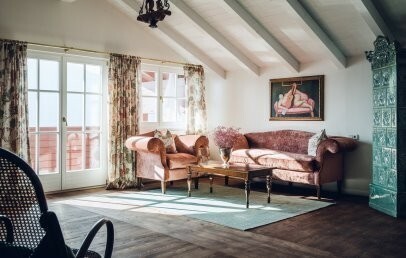 A true gem right above the valley of Merano at 8 km from the city centre. A panoramic route leads to the Castel Fragsburg that is only 30 km away from the airport of Bolzano. 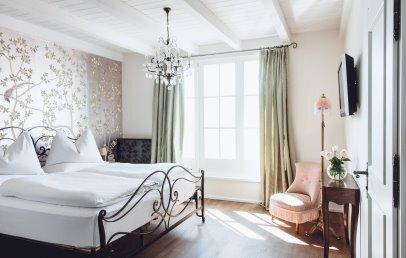 Once a hunting lodge, dating back to the year 1620, today Castel Fragsburg is today the smallest 5 star luxury hotel in the Dolomites and is part of the prestigious hotel chain Relais & Chateaux. 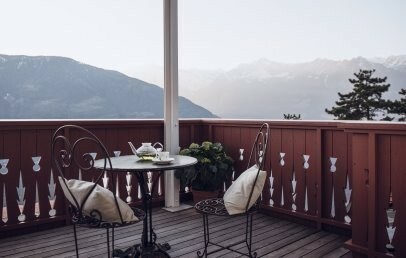 The hotel has 20 rooms and suites offering spectacular view over the valley, nestled in 10,000 sq.m. of lush vegetation. 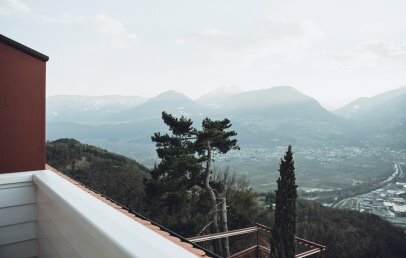 It is a favourite destination, especially for those looking for privacy, tranquillity surrounded by the harmony of the mountains for a timeout of the everyday rhythm. The hotel has a wellness centre with complimentary access of the sauna with panoramic view, Turkish bath, heated outdoor pool with mountain view. A variety of treatments, facial / body massages, meditation courses, yoga and breathing lessons are available upon payment. 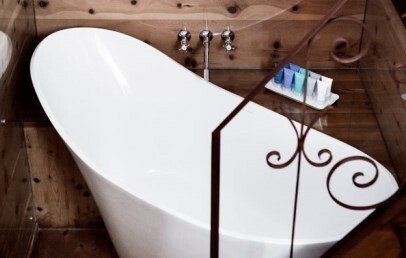 Moreover let yourself onece be tempted by a relaxing massage in the garden or by a bath with goat's milk, honey, almond oil and rose petals in the larch tub on one of the terraces. Note: All used products are created directly in the Spa Laboratory using mainly herbs that grow in the hotel garden, oil, honey and rose petals. Therefore they are non-allergenic. 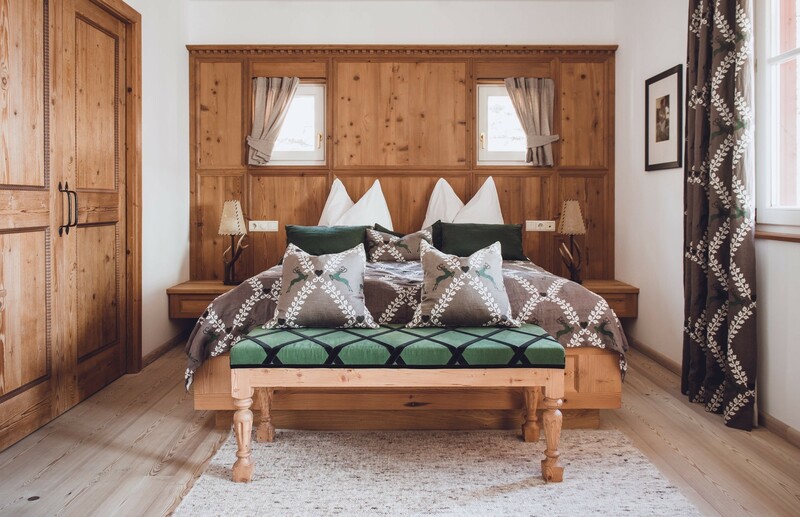 The exclusive Michelin-starred restaurant offers the chance to enjoy traditional South Tyrolean cuisine, along with dishes of refined and innovative cuisine. A welcome drink and appetizer are offered to all guests upon arrival. The parching, Wi-Fi connection and unse of swimming pool are complimentary. Moreover thera are mountain bikes to use, upon availability. Small dogs are accepted only in some rooms and a supplement of € 35 will apply. Active travellers can take advantage of the several sport activities offered by the mountains, as well as of the golf courses in the surroundings, horse riding excursions or long walks in the forest. A top excursion is a fantastic helicopter tour over the Dolomites. Lovers of history and culture need to visit to the wonderful castles and museums near the city of Merano. Especially the Castel Trauttmansdorff where the empress Sissi used to spend her holidays. 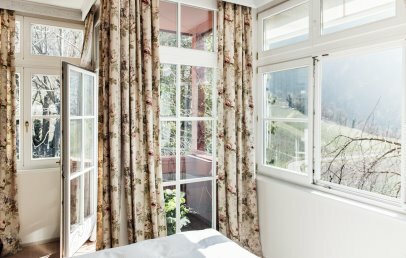 City tax – The municipality of Merano requires the payment of € 1.90 per person/overnight. 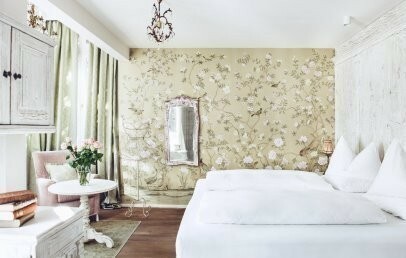 An aristocratic ambience in Baronesse style, with either a rooftop terrace or one or more balconies. 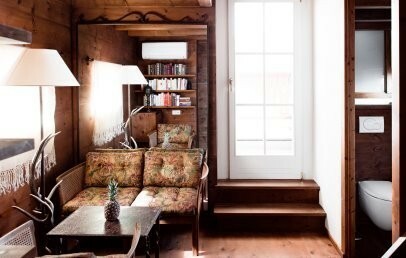 The Suite has a sitting corner furnished in pine wood, antique furnishings and walk-in closet. The bathroom has a shower or a bathtub. The Suite offers panoramic view. 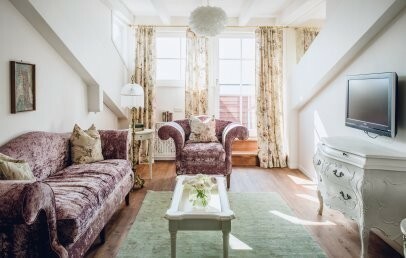 With marvelous overview over the garden and the enchanting Texel Group. The rooftop terraces or balconies in these suites are the perfect place to spend balmy summer evenings surrounded by blossoming flowers and candles as you listen to the nightingales singing. 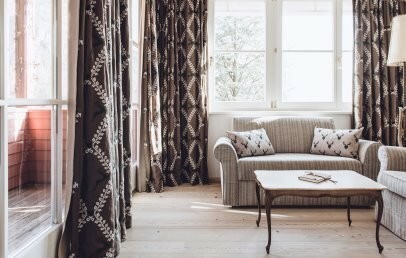 Lodgings fit for royalty with light, high-ceilinged, decorated with antique furniture and exquisite British fabrics and wallpapers. 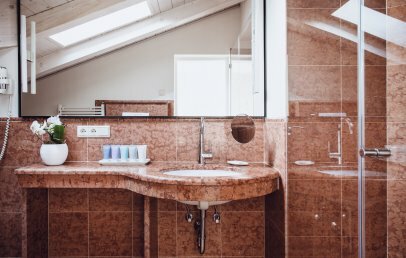 Some of the bathrooms feature a bathtub with panoramic views and an infrared sauna. 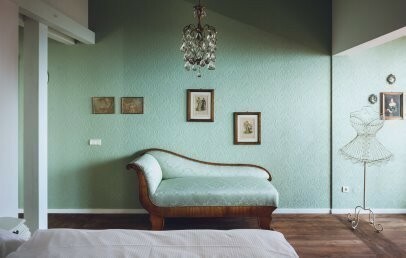 Romantic Suite, “Adlerhorst” means “eagle’s eyrie”. 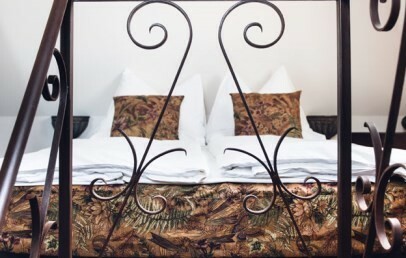 This suite is the perfect place for individualists and lovers of the unconventional to make their nest. The Suite extends over two storeys with a living area and several sources of inspirations. From the rooftop terrace of 18 sq.m. the view goes until Bolzano. 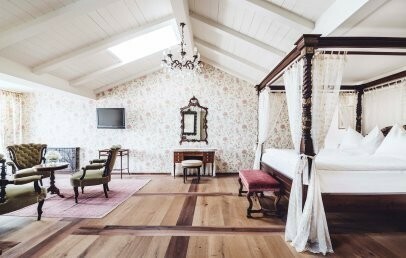 Hand-carved or smith-forged furniture, a bathroom in exquisite red marble and a balcony with nice panoramic view either over the vineyards around Merano or the Texel Group. The Junior Suites offer exclusive comfort and privacy.